Members of Europe’s conservative political parties began gathering in Helsinki Wednesday to nominate a candidate for chairmanship of the European Commission. 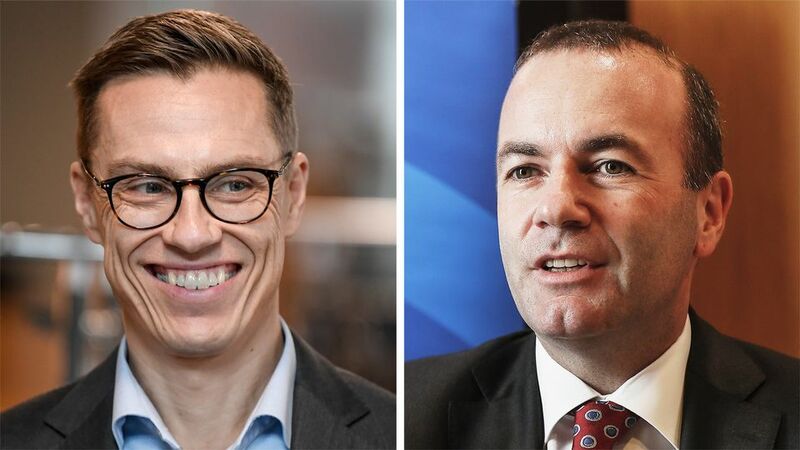 Ex-prime minister Alexander Stubb of Finland’s National Coalition Party will challenge German politician Manfred Weber for the European People's Party group’s nomination to the EU’s highest position as head of the European Commission. Weber is currently the head of the EPP group in the European Parliament and the favourite for the nomination. The five-year congress is taking place against the backdrop of Europarliament elections due next spring and a marked weakening of the EPP’s position in Europe. The EPP currently heads three important EU organs – the EU Commission, the Council of Europe and the Parliament, however, it has seen an erosion of its support, much like other traditional political parties. Altogether eight EU heads of state and government are members of the centre-right EPP. Over the years, some conservative parties have moved in a more liberal and global direction, embracing causes such as the environment. However others have adopted more nationalistic and socially conservative values in states such as Hungary, Poland and Germany. German Chancellor Angela Merkel is one of the high-profile national leaders attending the Helsinki Congress, however, her open reception of millions of asylum seekers in Germany in 2015 has splintered parties, party groups and member states across Europe and has stress-tested solidarity across the entire EU bloc. Other EU luminaries headlining the meeting include Presidents of the European Commission, European Council and the European Parliament Jean-Claude Juncker, Donald Tusk and Antonio Tajani respectively. The EU's chief Brexit negotiator Michel Barnier is also due to attend. One of the most prominent and anticipated segments of the congress is the selection of a candidate for the chairmanship of the EU Commission, which will pit Stubb against Manfred Weber of the Christian Social Union in Bavaria, Germany. In his own words, Stubb represents centre-left liberalism in the party group, while the former Finnish prime minister described Weber as a centre-right conservative. Ahead of the vote, Weber has been the overwhelming favourite to win the nomination. He enjoys the support of Merkel as well as the backing of other party leaders in the group, according to Yle Brussels correspondent Susanna Turunen. Although some 734 EPP members have the right to vote for a candidate during the two-day congress, Stubb’s chances of prevailing over Weber are seen as minimal, Turnuen said. Overall, the result seems like a foregone conclusion, with the high point of the duel – a debate between the two contestants – scheduled for 7.30pm Wednesday evening when attendees of the congress will already be preparing to attend a formal dinner. Meanwhile police have warned that the congress is likely to create traffic disruptions in Helsinki on Wednesday and Thursday.